The European Commission’s first big energy initiative in 2016 will be a “winter package” on energy security, due in February. This will revise EU legislation on security of supply for gas and electricity, propose to give the Commission a greater role in international gas buying deals and set out new strategies for LNG and energy storage, and heating and cooling. Sonja van Renssen explains what’s at stake. One European Commission official said last year that the plan for 2016 was no less than to re-write practically all of EU energy legislation. This year is “a year of delivery” for the EU’s Energy Union, in the Commission’s own words at the launch of its first State of the Energy Union report last November. The “Energy Union, climate and transport” is also one of the five strategic priorities of the Dutch EU presidency, which took over from Luxembourg on 1 January. 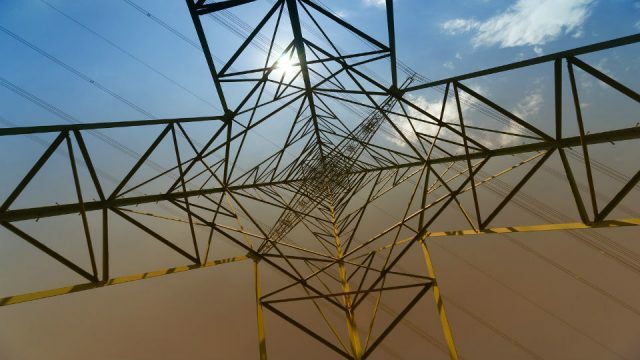 Europe’s first energy priority for 2016 is energy security. This is a long-standing priority that was thrust back into the limelight during the latest Russia-Ukraine crisis, when Russian gas supplies to Europe looked at risk. The result was a European Energy Security Strategy in May 2014 followed by “gas stress tests” in October of the same year that analysed the potential impacts of a disruption in Russian gas supplies. Unsurprisingly, the Commission concluded that some countries would be much more affected than others. It called for more cooperation and a competitive market as remedies. The EUenergy App, launched by Shell and Energy Post just before Christmas, can help inform the discussion about European gas policy. The App gives access to official EU climate and energy statistics formerly tucked away in books. You can download it here (iOS only for the moment – Android version on its way). 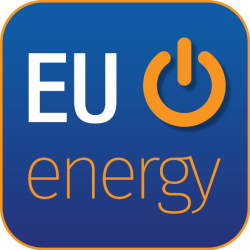 The EUenergy App shows gas import, production and pipeline capacity data through 2013 at EU level and for each EU member state. It also shows the part played by gas in the energy mix of countries and at EU level, and the role played by LNG in the gas market, including the utilisation rate of LNG terminals and the terminals under construction. It provides a firm factual foundation to which the gas and energy debate in the EU can refer. The App will be updated annually as new statistics become available. Russia has 55% more pipeline capacity than Europe’s next biggest gas supplier, Norway, which is twice as big again as the third biggest, Algeria. None of these pipelines were used at more than 60% capacity in 2013. Against this backdrop, it should come as no surprise that many are asking questions about the wisdom of Nord Stream 2, a new pipeline to bring gas directly from Russia to Europe, bypassing Ukraine. Germany says it can help energy security. 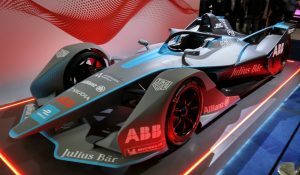 The companies involved say the same (see interview with Klaus Schäfer, new CEO of Eon spin-off Uniper). But many, especially eastern European countries vehemently oppose the project. They argue that it will increase dependence on Russian gas (it’s a new route, not a new supplier) and hurt Ukraine (by taking away its transit fees). They also say it violates the spirit of EU sanctions on Russia and point out that Nord Stream 1 is only being used at half its capacity. 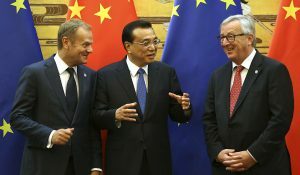 European leaders held an animated discussion about the pipeline at a summit just before Christmas. Their conclusions hardly reflect the discussion, reaffirming only that Nord Stream 2 would have to comply with EU law and the “objectives of the Energy Union”. The European Commission’s biggest challenge on the Energy Union is reconciling different national interests. This is just as true for security of supply and gas as for other issues. Germany’s position on Nord Stream is easily explained: Germany has consistently been far and away the biggest buyer of Russian gas, accounting for nearly a third of these imports in 2013, followed some way behind by Italy, although Germany also imports Norwegian gas and gas does not dominate the German energy mix (oil and coal do). How much is diversification worth to Europe – and what will it deliver down the road in terms of more competition and lower prices? In contrast, some EU countries are and always have been entirely dependent on Russia for gas imports: Bulgaria, Estonia, Finland, Slovakia, Latvia and Lithuania. This explains these countries’ desire for more diverse suppliers, not new routes to the same supplier. Poland, one of the most vocal critics of Nord Stream II, can afford to be. It needed no Russian gas from 2010-13, thanks to an increase in domestic production. Only ten EU Member States have domestic gas production. The Netherlands and the UK are by far the biggest, but Poland is the only country showing real growth in home-grown gas (although its volumes remain a fraction of those of the Dutch). Dutch gas production also regained lost ground after 2000, but has been sharply curtailed from 2014 on because the main gas-producing region in the Netherlands (Groningen) has been increasingly hit by earthquakes. 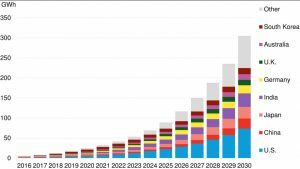 Many await with excitement the Commission’s new LNG strategy. This will look at the long-term role of LNG in Europe and what policymakers can to do to ensure all countries have access to this market. It is a clear push to diversify away from Russian gas and to put pressure on the price of that gas. 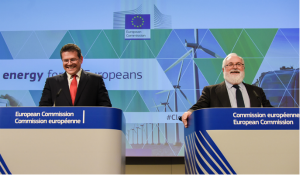 EU Climate and Energy Commissioner Miguel Arias Cañete said in October that the goal is to give every member state access to “three potential sources of gas, be it from pipeline gas from different sources, LNG or storage”. 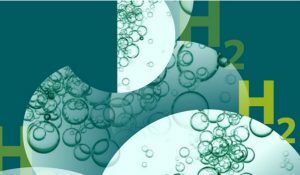 In its consultation on the new strategy, the Commission also suggested it would look at measures “to ensure that all Member States have access to LNG as an option, either directly or via other Member States”. And then there is perhaps the most fundamental question, which currently does not seem to be addressed at all by the Commission: what role do policymakers want gas to play in the low-carbon economy? LNG imports amounted to just 10% of EU gas consumption in 2013, with Qatar supplying about half of that. The average LNG terminal utilisation rate was a mere 22%, down by one-third to a half compared to 2010. Despite this, another six LNG terminals are under construction. The big questions for policymakers are how to increase the use of existing infrastructure, and how much new infrastructure actually needs to be built. The Commission is promoting new gas pipelines and LNG terminals with EU money, while the EU’s current LNG import capacity is already similar to Russia’s gas export capacity to the EU. In other words, Europe has large unused capacities for LNG as well as pipeline imports, and this at a time of falling gas demand. Gas consumption in the EU-28 in 2013 was at its lowest level since 2000, after peaking from 2005-10. Renewables, cheap coal (thanks to a low carbon price), and a decline in electricity demand (due to a slow economy, energy efficiency, a shift away from energy-intensive production) are the cause. Thus, Europe’s LNG strategy will clearly have a strategic aspect to it. How much is diversification worth to Europe – and what will it deliver down the road in terms of more competition and lower prices? And then there is perhaps the most fundamental question, which currently does not seem to be addressed at all by the Commission: what role do policymakers want gas to play in the low-carbon economy? (See also this recent overview of developments in the European gas market.) There is no security of supply without security of demand, Uniper’s new CEO Klaus Schäfer said in November. This question must be answered for policymakers to be able to evaluate gas infrastructure projects, also against renewables and efficiency investments, to avert stranded assets, and ultimately to ensure energy security. Poland, one of the most vocal critics of Nord Stream II, can afford to be. It needed no Russian gas from 2010-13, thanks to an increase in domestic production. Only ten EU Member States have domestic gas production. This is entirely incorrect. Poland’s domestic production of gas covers only 30% of demand. Shale gas revolution has not happened (yet) and conventional gas production is actually slightly decreasing (it was only around 4.25 Gm3 in 2013). The major rest of gas demand (70%) has to be met through imports from Russia, because at the moment the country does not have other means of diversifying supplies. Between 2010-2013, Poland imported approx. 10.79 Gm3 of natural gas exclusively from Russia and the trend is increasing (all data from Eurostat and the Central Statistical Office of Poland). Cost of LNG can not to be compared with cost of pipeline gas on markets. Use of LNG is just political not economical solution. More interesting is where we can find money to keep “green energy” projects alive. Cost of “green energy” is based on 80+ per barrel and on demand in rise.